Glasgow’s curry credentials cannot be questioned – we’ve been the four time winner and four time runner up of the Curry Capital of Britain Award, more than any other city in the UK. Forget haggis, neeps and tatties – it can be argued curry is our city’s national dish. Playing an important role in Glasgow’s stellar curry reputation is the Merchant City, home to some of the city’s mostly highly regarded Indian restaurants including Dhabba, Dahkin and Charcoals Cafe. We asked each of these Merchant City Indian restaurants to let us in on some of their secrets and share their showcase dishes. Prepare for some mouthwatering reading. Sister restaurants Dhabba and Dakhin, across the road from each other on Candleriggs, specialise in North and South Indian cuisine respectively. Adored by critics, they are often considered to be Glasgow’s top curry restaurants and offer Indian fine dining in the Merchant City. 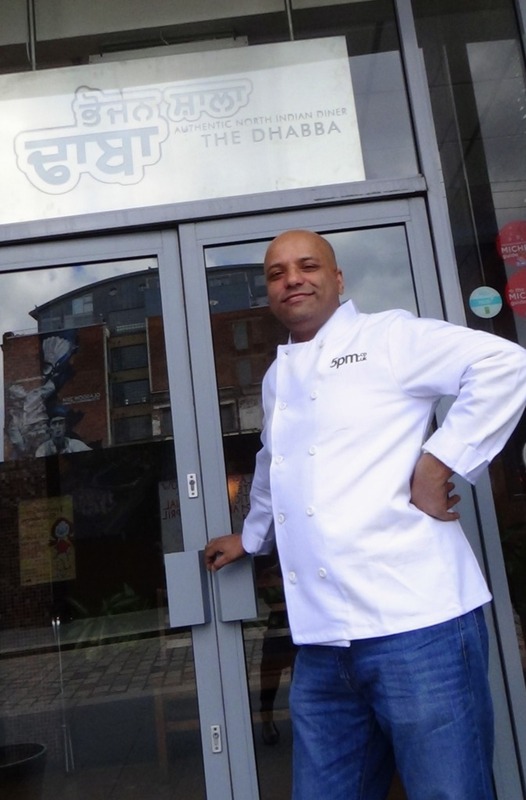 Co-owner Peet, who launched Dhabba in 2002 and Dakhin in 2004 with his father and brother, showed off a sizzling leg of lamb from Dhabba and a marinated sea bream from Dhakin. Tell us about your background. How did you come to launch Dhabba and Dakhin? The Dhabba was my brother’s brainchild. I was born in Glasgow but my family are from Punjab in North India. We were influenced by a menu we had e mailed to us from India which provided us with the opportunity to bring North Indian food to Glasgow for the first time. We then went on to open Dakhin two years later in 2004. We were supported by the work permit scheme which allowed us to bring chefs from India who had trained in five star hotels to make proper Indian food. That’s what I think makes us stand apart from a standard British curry house. 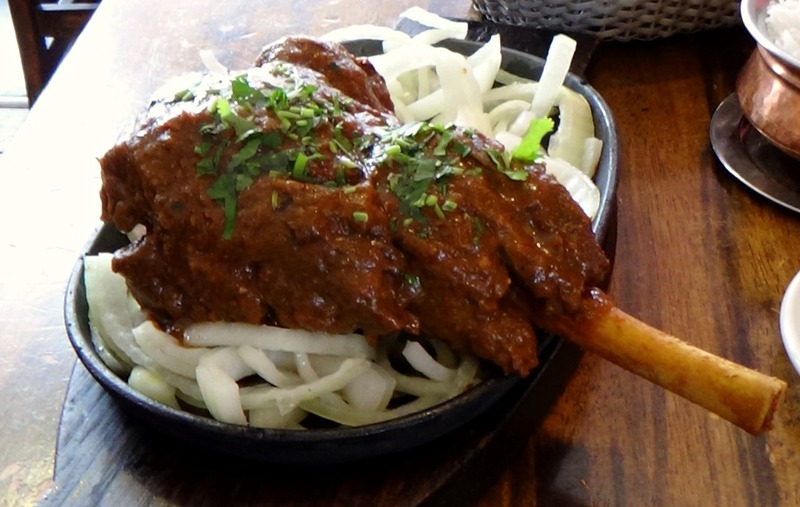 Dhabba: Raan-E-Changeji (Tender whole baby leg of lamb served on a sizzler on a bed of onions with rum sauce on the side). Learn about how the Raan-E-Changeji by watching the video below. Dakhin: Mullu Sutta Meen (Whole sea bream marinated with ginger, garlic, lemon juice, herbs and spices served on a sizzler). _Why are these your showcase dishes? : _The raan is a majestic, regal type of dish that is served in North India on special occasions. 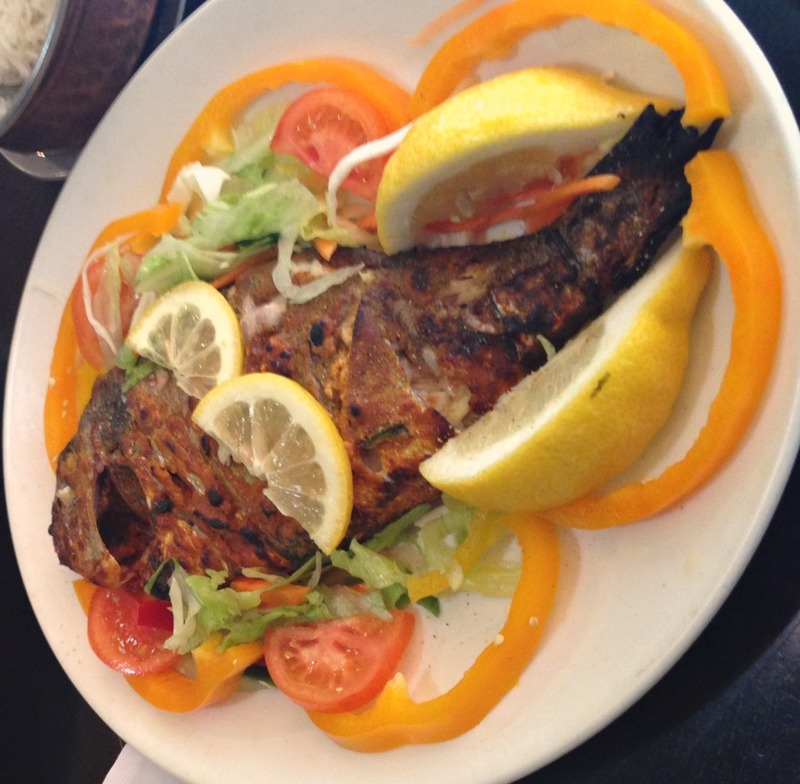 _ _Fish is a huge part of South Indian cuisine and we marinade the bream for at least 24 hours. I choose these dishes because of the presentation, flavour and value for money; they need to be authentically North Indian or South Indian. Both dishes are hidden treasures of the restaurant and they don’t disappoint. _Why do you think Glaswegians love curry so much? : _I don’t think it’s just Glaswegians, I think Indian food in general has so many different ingredients which we tend to take for granted. Each different spice affects your body in a different way and if you don’t have them for a while your body actually goes into withdrawal. I think all cities in the UK claim to be the curry capital. It’s goood they are competing in this way; it shows they are all keen to produce good produce. See Dakhin’s chef make a paper dosa, the perfect accompaniment to Mullu Sutta Meen, in the video below. 50% discount on main courses at Dhabba and Dakhin only on 5pm dining. Little brother to the established Charcoals in Renfield Street, Charcoals Cafe serves the same award winning food in tapas size portions in the Merchant City’s Trongate. 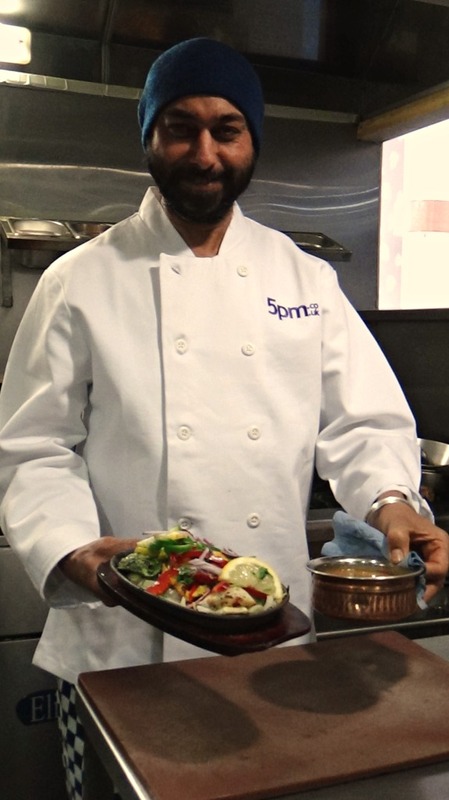 Ranjit shows off his showcase dish. Tell us about your background. How did you become a curry chef? My mum is from Punjab and I grew up with her cooking Indian food every day. I’ve always loved cooking and Indian food so I became a chef. I’ve been now a chef in Glasgow for twenty years. I started at a restaurant in Johnstone before moving to Creme de la Creme and Charcoals. Name of showcase dish: Chicken tikka charcoals. Why is chicken tikka charcoals your showcase dish? Everyone knows normal chicken tikka but we wanted to introduce different flavours. This dish serves three cuts of chicken marinaded in different flavours: tikka mango, tikka hara bhara and mild tikka. We wanted to balance different flavours; mango is sweet and hara bhara is spicy. 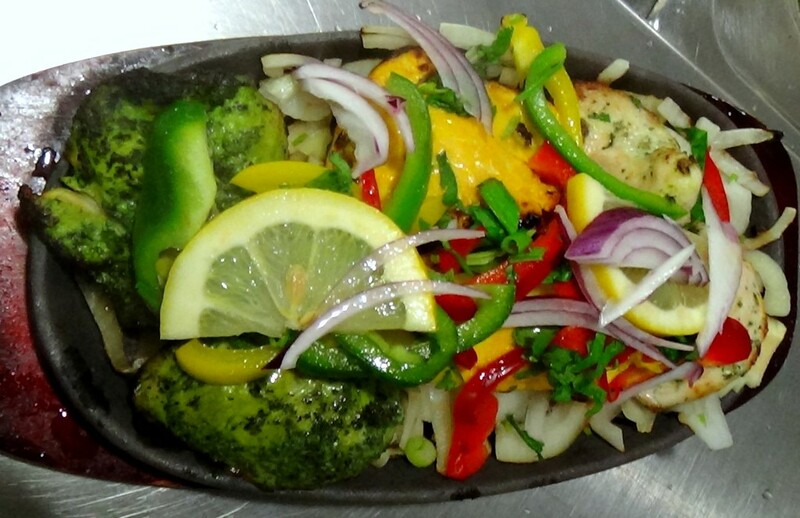 We use fresh ingredients, cook them in the charcoal grill then place them on the sizzler. It really is a lovely dish. I love barbecue and I love this dish so I understand why everyone likes it. Why do you think Glaswegians love curry so much? : Indian food tastes so good and there are so many different sweet and spicy flavours. In Glasgow there is so much competition between Indian restaurants which means they are always trying to be the best and always improving. Watch Ranjit create his signature dish in the video below. £9.95 per person for 2 courses on the pre-theatre menu at Charcoals Cafe on 5pm dining. For more Indian dining offers in Glasgow’s Merchant City, check out our Merchant City page.